As Chair, physician will provide leadership and oversight of the department, including provider performance, quality of services provided, peer review, staffing and recruitment in accordance with the strategic and operational goals of MedStar Franklin Square Medical Center and MedStar Health. Responsible for the organization and administration of the Department of Surgery. Participates in strategic planning for the Department of Surgery consistent with the Hospital’s and MedStar Health’s annual and long-range planning process. Recruits, mentors and evaluates employed physicians and other providers of the department. Recommends Section Chief candidates to the Medical Executive Committee for appointment. Supervises, monitors and evaluates the quality of care rendered by members of the Department of Surgery. Institutes and maintains a comprehensive surgical quality assurance program, including each surgical sub-specialty with attention to high-volume surgical procedures. Develops and maintains monthly Surgical Call Schedules in collaboration with the Section Chiefs for general and surgical sub-specialties. Represents the Department of Surgery and serves as the main liaison with other departments of the Hospital through a permanent position on the Medical Executive Committee. Serves as the Hospital’s representative for the MFSMC Department of Surgery within MedStar Health. Serves as an active member of the hospital’s Perioperative Governance Council (PGC); in this capacity, provides leadership in the department to achieve the council’s objectives, which include evaluation of Operating Room (OR) business, clinical processes and outcomes; routine monitoring of OR data metrics and benchmarks; and oversight of policies, procedures and established standards of care. Develops annual departmental goals and objectives in conjunction with the hospital’s annual strategic planning process. Prepares a departmental budget and other administrative program documents for the Department of Surgery. Coordinates annual capital budget process for the department and sub-specialty sections. Serves as liaison with other departments of surgery, professional surgical organizations and external agencies locally and nationally. Maintains an active surgical practice, including providing consultation, follow-up and diagnostic surgical and therapeutic services on both an inpatient and outpatient basis, consistent with physician’s training, medical staff credentials and privileges. Board certification in General Surgery and appropriate surgical specialty, if applicable. Practice or divisional/departmental management experience desirable but not required. Eligible for appropriate appointment to the Active Staff of the Medical and Dental Staff of MedStar Franklin Square Medical Center. Licensed to practice medicine in the state of Maryland. MedStar Franklin Square Medical Center, a proud member of MedStar Health, provides many medical and healthcare services. Our emergency department treats more than 108,000 patients annually. We are accredited by the Joint Commission and certified as a Primary Stroke Center, and we have earned some of the nation's most prestigious quality awards, including Magnet® designation for excellence in nursing, the Delmarva Foundation Award for Quality Excellence, and inclusion in the U.S. News & World Report Best Hospital specialty ranking for three consecutive years. 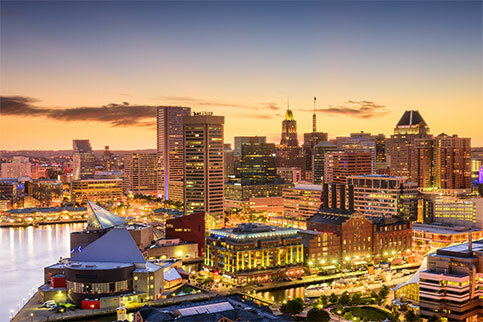 With more than 3,000 skilled professionals, including over 1,000 nurses and 400 staff physicians, MedStar Franklin Square is one of the largest employers in Baltimore County. More than 750 independently practicing physicians have applied for privileges, choosing MedStar Franklin Square as their hospital of choice for surgical referrals, radiology and laboratory services. Located near the junction of routes I-95 and I-695 on Rossville Boulevard in eastern Baltimore County, the hospital campus is adjacent to the Community College of Baltimore County Essex campus. The latest addition to our campus, a seven-story Patient Care Tower, offers a facility that is as advanced as the high-quality care found inside with many patient-centered touches to create a safe and comfortable healing environment. Interested candidates, please address cover letter and CV "Attention to Dr. Levine."